What does the future hold for the mining industry? These four predictions offer radical, but plausible visions of what’s to come for mining companies big and small. The past decade has been full of twists and turns for the mining industry. Commodity prices have both soared to historic peaks and sunken to historic valleys, and a series of acquisitions have completely transformed the competitive landscape. If the recent past is any indication, the future of mining will likely be very difficult to predict. That being said, a few industry commentators have been bold enough to hazard a guess as to what’s to come. Here are four “hot takes” that boldly forecast what the future may hold for the mining industry. Most technologies being implemented in mining aim to improve operational efficiency in some way, but none is as all-encompassing as the Industrial Internet of Things (IIoT). Through the use of smart sensors installed throughout a mining site, the IIoT allows for the remote collection of massive volumes of data in real-time. The analysis of that data could enable mining companies to optimize their operations with more precision and more agility and keep overhead costs to an absolute minimum. The IIoT is already being implemented in mining operations across the world, but as more infrastructure is installed and as analytics technology improves, its impact will only become more significant. And with ore body grades declining and the costs of extraction on the rise, mining companies are likely to recognize the kind of efficiency the IIoT can add as critical to the long-term profitability of their projects. Another technology that could help the mining sector achieve greater efficiency is the blockchain. Blockchain’s ability to create an immutable, incorruptible ledger of transactions can make it far easier to track compliance with environmental regulations and make it far faster and easier to reconcile purchase orders. Some companies are even using it to track mined commodities through the supply chain to avoid dealing with unethical parties and conflict minerals. The use of remote drones to explore potentially treacherous terrains is already being tested by major mining companies. These businesses hope to render future exploration campaigns both less costly and far safer through the use of these airborne robots to survey dangerous physical environments. Drones are also being used to offer more precise readings of slope angles, thereby displacing less rock and using fewer resources in order to access the ore body. By tackling the more dangerous tasks involved in mining and offering stronger analysis of physical surroundings, the expanded use of drones in the future could not just drastically cut workplace injuries for miners, but transform their work altogether. Drones enable a future in which human workers largely manage and control on-site drones, rendering the mining profession no less difficult, but far less risky. The digitization of the mining industry hasn’t been a seamless process — many of the technologies used by mining companies today are esoteric and require highly specific training to use properly. This has put a squeeze on new talent, with only older employees left to competently operate specific systems. Some predict that, recognizing this problem, the companies that develop this operational technology will work to reach an agreement on technical standards that will produce greater interoperability and ease of use across their different systems. This will make it far easier to transfer knowledge from system to system, employee to employee, and organization to organization. Much like technologists in other sectors, mining professionals will be able to apply their expertise to process control systems of all kinds, boosting retention within the industry and making hiring, transfers, and promotions far easier. Based on the trends that are already ongoing in the mining industry today, it’s no stretch to imagine that any of these predictions could become reality in the next ten years. 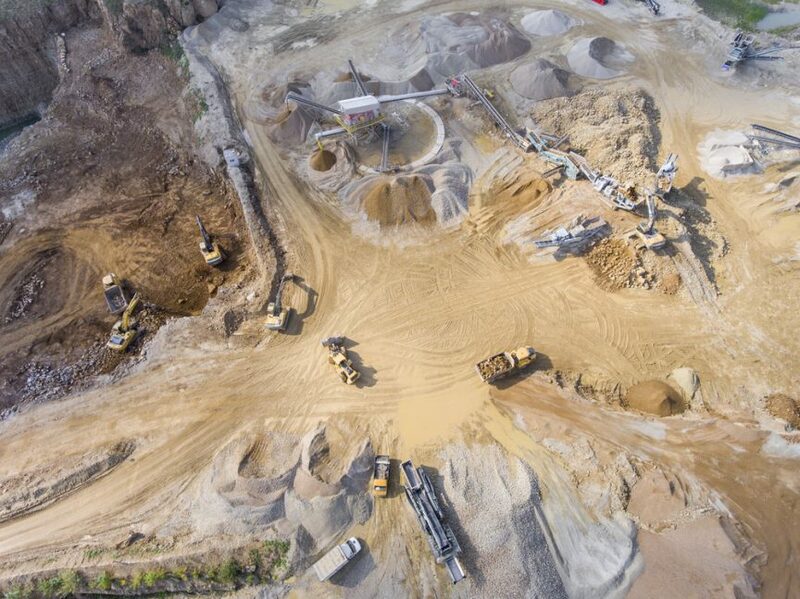 Similarly, because so many mining companies have depended on dust control solutions from Midwest Industrial Supply, Inc. for the last 40 years, there’s plenty of reason to believe the industry will continue to rely on them well into the future. No matter how advanced mining technology becomes, access and haul roads will still require dust control to remain compliant with environmental regulations and protect worker safety. Our Synthetic Organic Dust Control products like EK35® durably lock aggregate and fines together, preventing dust from escaping as soon as it’s generated. Consider working with Midwest to ensure that your operations remain efficient and sustainable not just in the present, but in the future of mining.